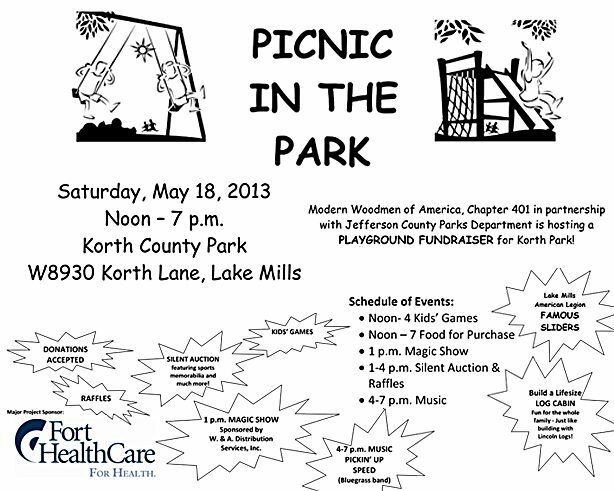 Modern Woodmen in partnership with the Jefferson County Parks Department is holding a fundraising event at Korth Park on Saturday, May 18 from Noon until 7 p.m. The money raised will be utilized to purchase and install a playground for the park. Modern Woodmen will match the first $5,000 raised!